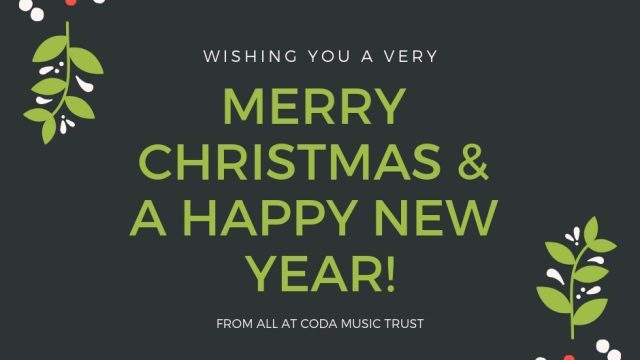 The last day of the Coda term is Saturday 15th December (lessons will still happen on this date). Spring Term starts on Monday 7th January 2019. All one-to-one lessons and ALL of our choirs, groups, courses and ensembles also start back w/c 7th January (including Coda Vocal Collective, Jazz Ensemble, Ukulele Band, Folk Orc, Ukulele Players, Piano groups, Kids Ukulele Band and Improvers Ukulele).